Future Taoiseach Enda Kenny, the usually invisible man, came out of hiding and found time to have "discussions" with Covanta. FG's Creighton and Murphy are cynically silent, true patriots. Perhaps Covanta shared some intelligence on Kenny provided by the US Embassy and not yet on Wikileaks. The New Jersey lawbreaking outfit is using a cosmetically-correct Dane to front their PR spin. Current Taoiseach BIFFO played golf with Anglo-Irish Bank's Seanie, and says he didn't talk about the bank. BIFFO then morally and financially bankrupted Ireland to save Anglo-Irish Bank and the reckless funders of Anglo - the major German, Dutch & British banks. 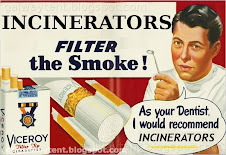 Covanta met FG to press case for incinerator. Covanta, the US energy firm, has had discussions with Fine Gael leader Enda Kenny over the company's difficulties in advancing plans for its controversial 350million incinerator in Dublin's Poolbeg. Jens Kragholm, European vice president of Covanta, told The Sunday Business Post that he had discussed the project with Kenny and Labour's Ruairi Quinn. 2011: Covanta, the US energy firm, has had discussions with Fine Gael leader Enda Kenny over the company’s difficulties in advancing plans for its controversial €350 million incinerator in Dublin’s Poolbeg. Jens Kragholm, European vice president of Covanta, told The Sunday Business Post that he had discussed the project with Kenny and Labour’s Ruairi Quinn. At the meetings, Covanta outlined the company’s opposition to a punitive levy on incinerated waste favoured by former environment minister John Gormley. Gormley is opposed to the plant, which is in his constituency of Dublin South-East. Kragholm told The Sunday Business Post that there was ‘‘no way’’ that Covanta would be putting €350 million into the project if the levy went ahead. He said the levy would make the project ‘‘absolutely untenable’’ from a commercial stance for both Covanta and Dublin City Council, the company’s partner in the proposed 600,000-tonne waste-to-energy facility. Kragholm said that the company had not received any assurances from Fine Gael or Labour, but had found them ‘‘sympathetic’’. They had ‘‘at least listened’’ to the company’s concerns over the proposed levy. He said that the meetings occurred informally and the company had appreciated the opportunity to put its case before both main opposition parties, which are likely to form the next government. Neither Fine Gael nor Labour had given any indication to Covanta that they would repeal Gormley’s Environment (Miscellaneous Provisions) Bill 2011 if passed by the Oireachtas in the lifetime of the current government. Fine Gael has given such commitments previously, most notably when the party wrote to hunting groups last February, giving a commitment to reverse Gormley’s ban on the Ward Union stag hunt. Covanta had suspended detailed negotiations with companies outside Dublin to secure waste supply to the incinerator, because of uncertainty relating to the project, Kragholm said. 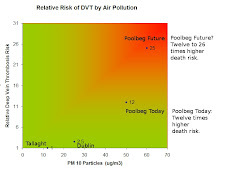 Under the terms of their existing contract with Dublin City Council, the four Dublin local authorities have undertaken to supply 320,000 tonnes of waste to the incinerator at a preferential rate. This contract entered a review period last autumn and both sides have until early March to amend the contract without liability to either side. However, Kragholm said that any significant change was unlikely, given that a change to the size or capacity of the proposed incinerator would mean that the project would have to reapply for planning approval and environmental permits. ‘‘It is not that we or Dublin City [Council] are being difficult, but both procurement and regulatory stages would have to restart .... There is no appetite for this to happen," he said. The company suspended all building work on the plant in April 2010 and, at present, is maintaining only a security presence at the Poolbeg site. Poolbeg Incinerator Will Export €700 Million.